10 Romantic Vacations to share with your special someone. While it may be too late for this year to plan a romantic escape for you and your loved one on Valentine's Day specifically, luckily romance is not bound by a date on the calendar. Honeymoons, vow renewals, anniversaries, birthdays or just because...here is a list of 10 romantic vacations (in no particular order) that you and your special someone should take at least once in your life. This Tahitian island is often at the top of bucket lists, and with good reason. Boasting a lagoon lined with white sand beaches and coconut trees, this South Pacific island is paradise. 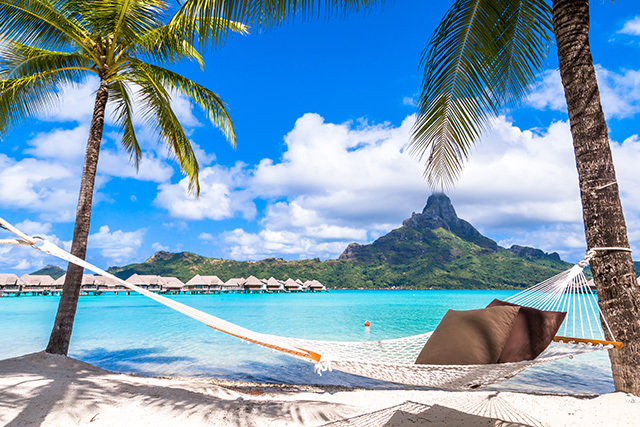 With an array of tropical fish and coral gardens, Bora Bora is a perfect setting for scuba diving and snorkeling. Couples can indulge in one of the many luxury resorts and spas that dot the island, many with the idyllic overwater bungalows that are the ultimate setting for romance. It doesn't get much more romantic than dinner for two overlooking cliffs adorned with whitewashed houses and the brilliant blue Aegean Sea. 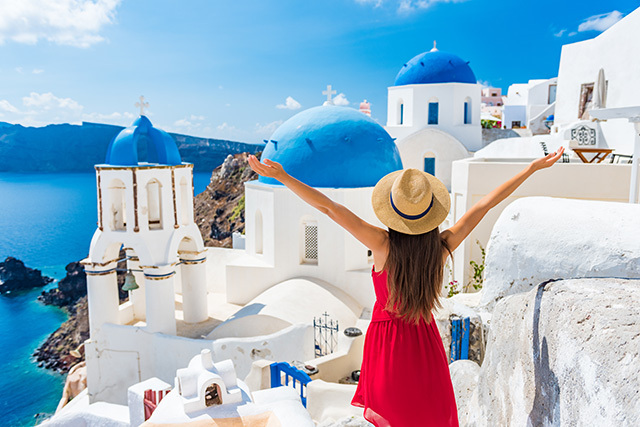 Aside from its picturesque setting, Santorini has an array of activities for couples, from cooking classes of island specialties, tours around the caldera, or a soak in an infinity pool tucked in along the cliff’s edge. Voted the world's best honeymoon destination for five consecutive years by the World Travel Awards, this tropical jewel in the Caribbean Sea is the perfect place for couples. 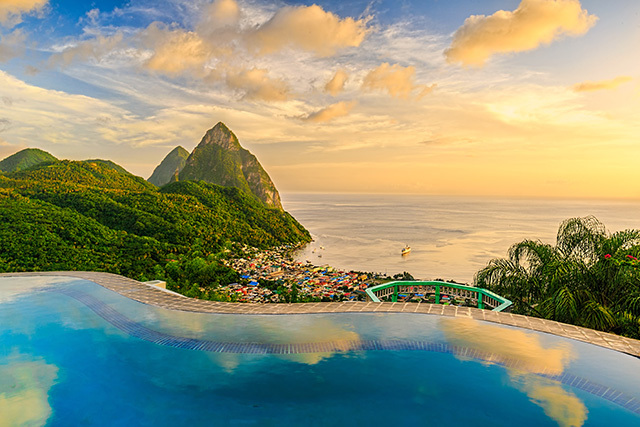 St Lucia is tranquil and secluded, with a lush landscape distinguished by the two peaks of The Pitons. Couples can spend the day relaxing on the beach, trekking to a rainforest waterfall, or bathing in therapeutic hot springs. And what better way to spend an evening than dining on fresh seafood on a private beach. 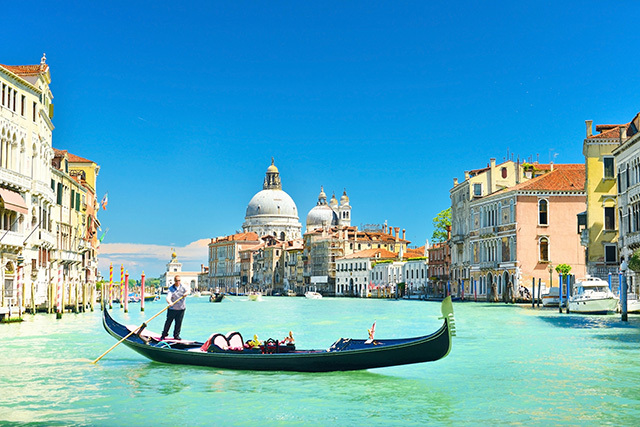 Enjoy a gondola ride through the canals, or a stroll hand in hand through the magical floating town of Venice. People watch, with a glass of wine in hand, at St. Marks Square. Stop for a coffee at an outdoor café. And finish the evening by watching the sun set over the canal city at the Ponte dell’Academia. 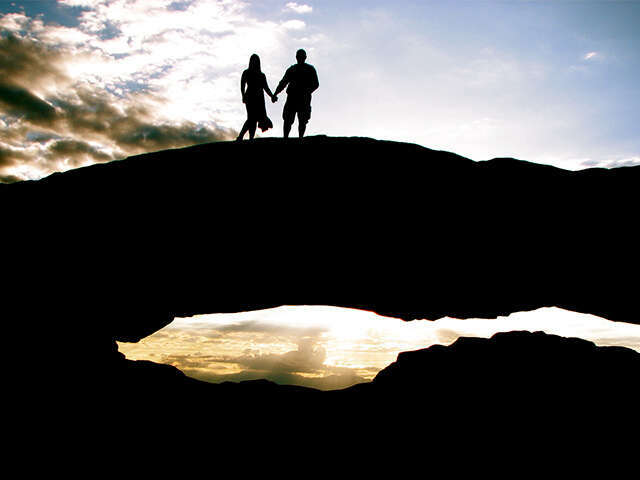 Hawaii's “Garden Island” is the perfect place for couples seeking outdoor adventure. Kauai offers raw beauty in the form of a lush landscape and breathtaking waterfalls, and a wide range of activities from snorkeling and scuba diving in the crystal blue waters of the North Shore to hiking the Kalalau Trail on the Na Pali coastline. 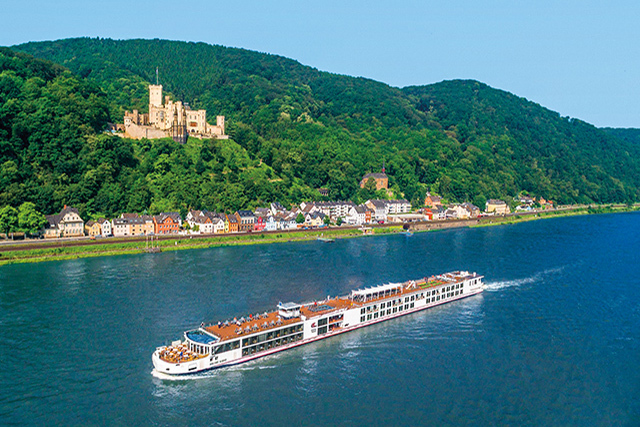 Sailing along one of Europe's iconic rivers, on an all-inclusive luxury river cruise, is an experience like no other. Marvel at the spectacular natural vistas along the river banks and visit some of history's most precious cultural treasures and architectural masterpieces. Unlike the large ocean liners, a river cruise will dock in the heart of a city or quaint village providing more time to explore, dine and shop with your loved one. With high-touch service and intimate ships, a river cruise is perfect for a romantic holiday. 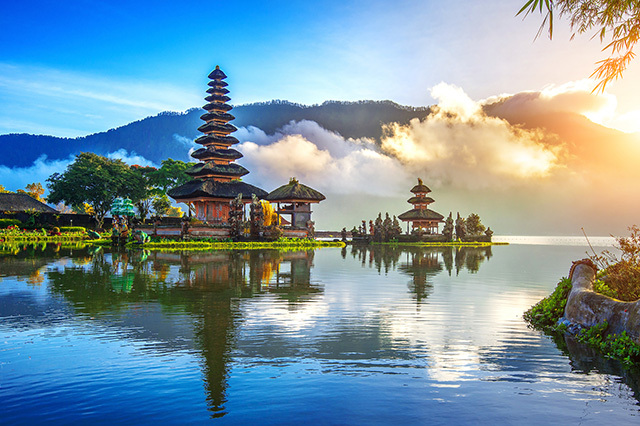 Whether romance to you means relaxing on a beach or exploring new cultures together, Bali offers the best of both worlds. Couples can begin their stay at a luxury beach resort in the southern region before heading to Ubud, the cultural heart of Bali and a hub of artistic activity. All around the island there are a variety of temples to visit; as well as activities such as river rafting, hiking or cycling rice terraces, and shopping in traditional markets. Welcome to the Maldives, where the sand is as white as the smiles of the locals, and fish swim happily in the warm waters of the Indian Ocean. A nation of nearly 1,200 islands, most of them uninhabited, the world’s lowest-lying nation rises barely more than 1.8 metres (six feet) above sea level. This is where people come to experience island life at its most relaxed — and most beautiful. From island cruises to luxurious and cutting-edge private overwater bungalows, the chances of returning home disappointed are slim to none. Hoi Ann just might arguably be one of Vietnam's best gems. 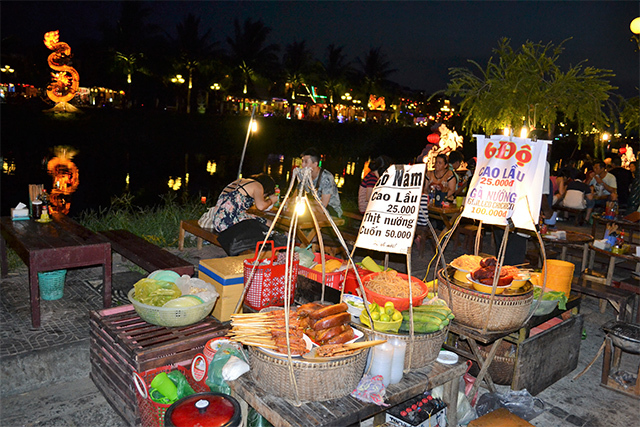 As one of the world’s great food capitals, a street food tour to taste authentic Vietnamese dishes such as pho and bun cha is highly recommended. And what's more romantic then taking a cooking class with your loved one to learn how to make all those delicious dishes? When not indulging in all the tasty treats, you and your significant other can explore this wonderful town – a UNESCO World Heritage Site – and its traditional merchant houses, art galleries, temples, and markets. Africa is a truly magical place and one of the most romantic and mesmerizing continents in the world. A luxury safari vacation with your partner is sure to send sparks flying and create a lifetime of memories. 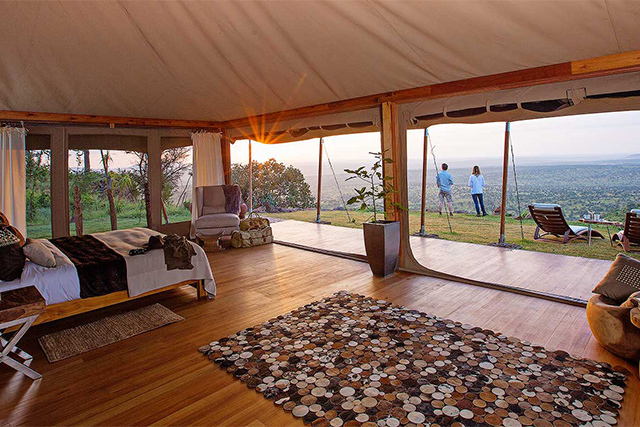 Think extraordinary privacy, dreamy and luxurious tented-rooms with views, and game drives to captivate you and your significant other. Add hot-air ballooning, gourmet dining, cultural enrichment and world-class hospitality – what’s not to love about a luxurious African safari?